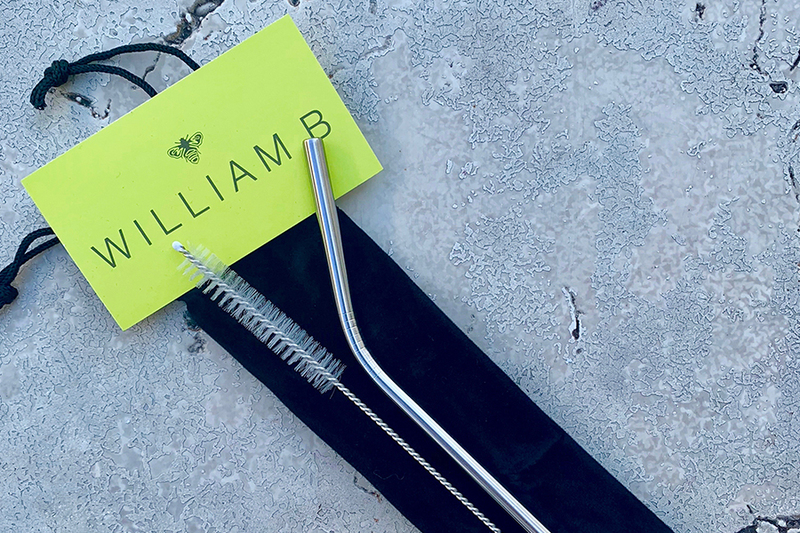 WILLIAM B + friends is contributing to the cut-back on plastic with a gift with purchase this season, featuring a complimentary metal straw* with purchases of $50 or more. *While supplies last. On Saturdays and Sundays only.